A Singaporean tourist visiting the Komodo National Park in East Nusa Tenggara was bitten by a Komodo lizard on Wednesday, May 3, 2017. As reported by Floresa.co and Kompas.com, the man injured in the attack was Lon Lee Aik, aged 50 of Singapore. The Singaporean was staying with a small group on “Kampung Komodo” on Komodo Island for two nights prior to the incident. The man, ignoring cautions from rangers and friends, insisted on approaching from a close distance a dragon that was feeding in order to make a photograph. 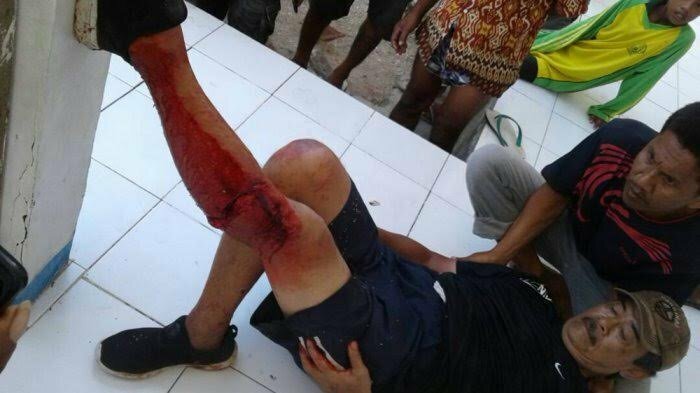 A komodo retaliated on the man’s intrusion by biting the man on his left thigh. The man received first aid on the Island before being medically evacuated to Denpasar, Bali for further treatment.